During the last week before the beginning of the semester, a simulation of the EU legislative process was conducted with students of International Relations. Following the theme of asylum policy, the students created a law proposal which included a compulsory quota system for the redistribution of refugees among Europe. As guest lecturers, Mr. Thomas Ruffmann ( VHS Kleve and Haus Mifgash) discussed the current refugee situation in Kleve and Dr. Deniz Alkan represented the work of the politicians as the head of EU affairs in North Rhine-Westphalia. Both gave interesting views into their working fields, which are very diverse but still are closely related to the refugee situation. 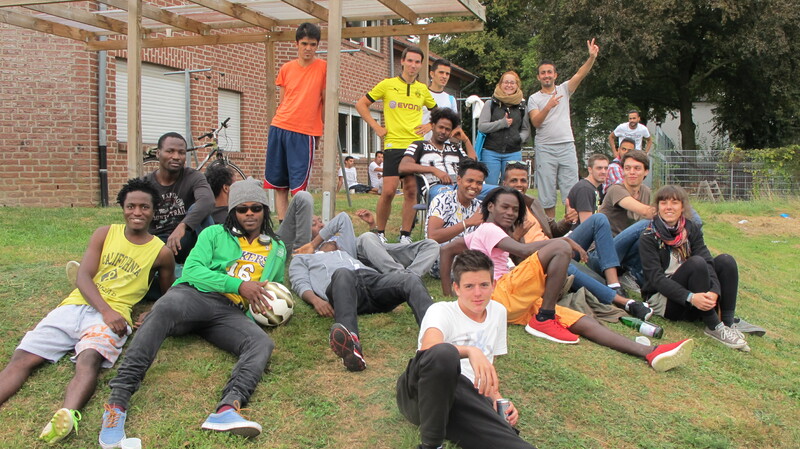 In addition, the students paid a visit to the local refugee house in Kleve. They played football and volleyball and got to know each other over cookies and juice. The project week was organized by Niklas Rolf and Jessica Jung.